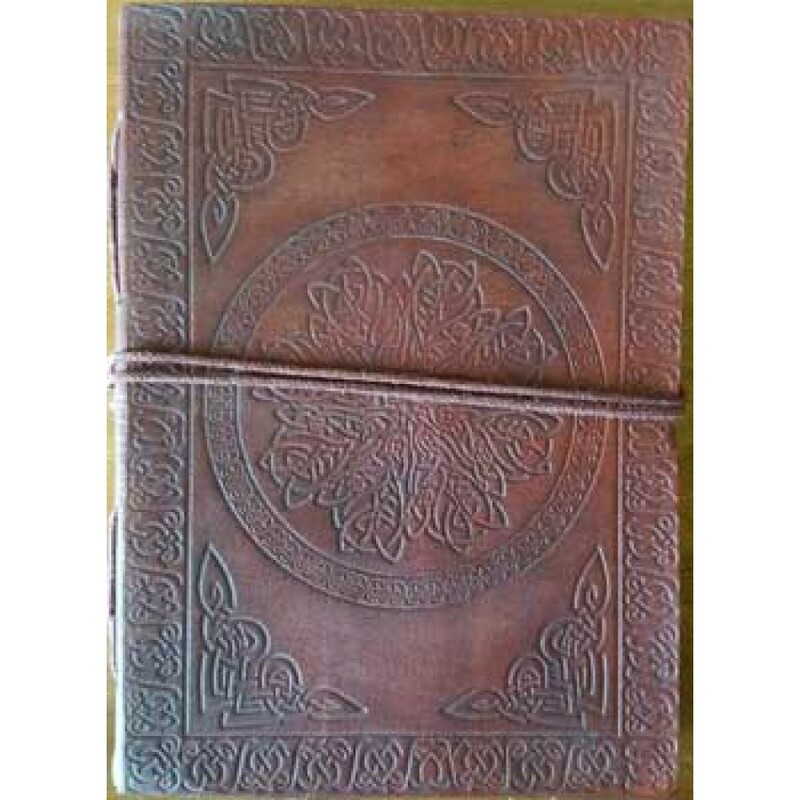 A beautifully embossed Celtic Mandala - symbol of never-ending life, highlights this beautiful genuine leather hand made 5 x 7 inch journal. 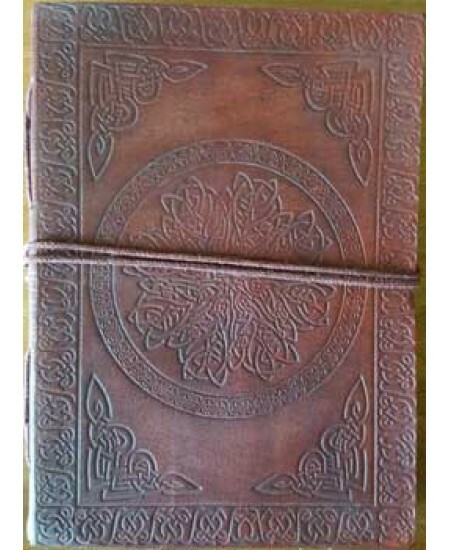 This Celtic Mandala leather blank book has a cover with a beautiful embossed heart in the center, bordered with Celtic design tooling. 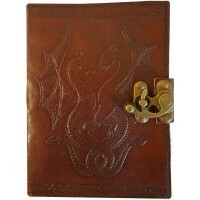 The back cover is adorned with a beautifully embossed pattern, it's spine edge has attractive leather cross stitching. 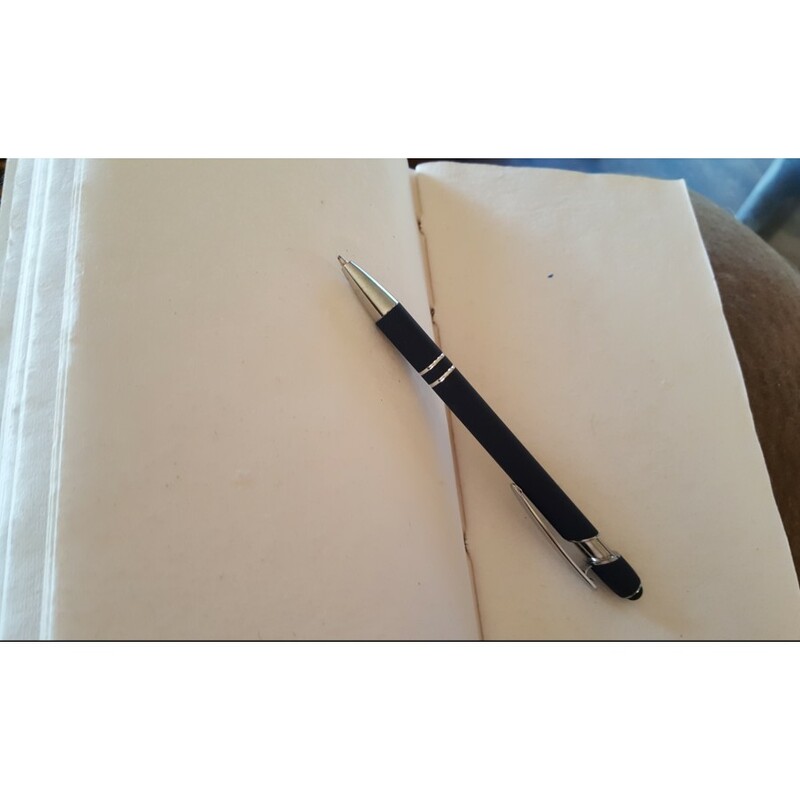 Attached cord closure. 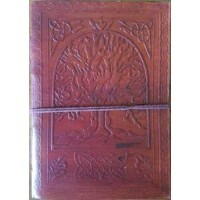 There are 200 blank hand made pages. 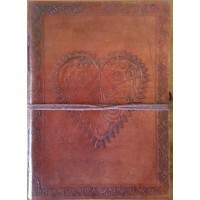 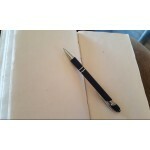 Great as a journal, diary, sketchpad or anything else you want to use it for. 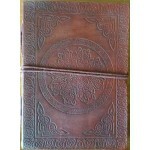 Item Number: AA-BBBCKM | Approximate Size (Inches): 5.00 wide x 1.75 deep x 7.00 high | Approximate Shipping Weight: 1.00 lbs.